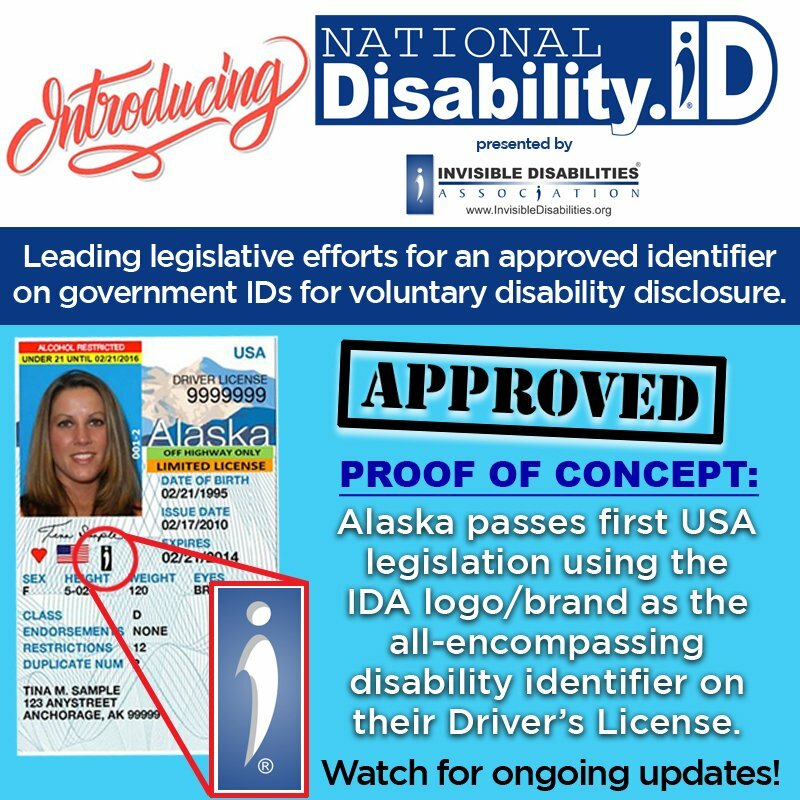 JUNEAU, AK – In partnership with the Invisible Disabilities Association, the state of Alaska Legislature authorized their DMV to provide a method for a person to voluntarily designate on a driver’s license or identification card, a discreet symbol that identifies a person with a medically verified cognitive, mental, neurological, or physical disability or combination. The primary purpose of this designator is to alert law enforcement to a person’s non-apparent disability during a traffic stop, or other routine contact. Learn more here! The State of Alaska is the first state to offer to qualifying individuals a voluntary disability designator on a driver’s license or identification card. Under a Memorandum of Agreement with the Invisible Disabilities Association (IDA), the DMV uses the IDA’s “i” symbol as the designator. Join Invisible Disabilities Association this October 14-20 to “get the word out” as our nation recognizes invisible disabilities week. They will be providing lots of activities and resources through IDA for you to share with families and friends, companies and groups to be involved in this week dedicated to informing others about people living daily with invisible disabilities. PRESS RELEASE: Parker, CO, October 03, 2018 –(PR.com)– 2018 Invisible Disabilities Week is October 14-20. Silicone wristbands began gaining popularity in the 1980’s when Madonna was making her popstar music debut. 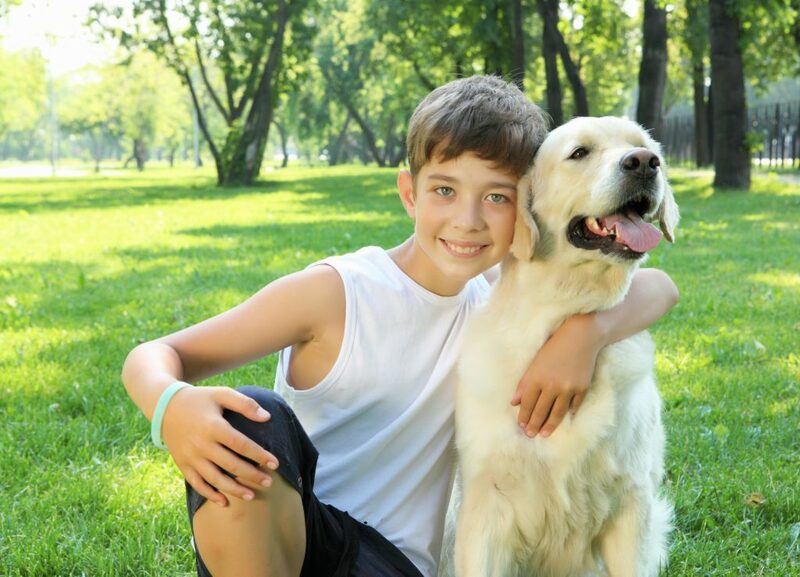 The LIVESTRONG Foundation kicked the wristband movement into high gear in 2004 with their iconic LIVESTRONG yellow wristbands to help raise awareness for cancer fighters. Wristbands and bracelets have been part of culture since way before King Tut was roaming around the pyramids. They’ve been uncovered by archaeologists from ancient times with very detailed craftmanship proving unique ornamentation for folks back then too. So, wristbands are definitely not a fad or something new! So, what about today? Why wristbands for invisible disabilities? Many organizations have rallied their cause utilizing certain colors, i.e., pink for breast cancer, yellow for POW/MIA, red for HIV/AIDS, purple for Alzheimer’s disease, and many others. When you look at the Color Emotional Guide that is used in communications and marketing techniques, each color has a list of words defining emotions that are conveyed when a certain color is employed. Blue communicates trust and strength. You can trust that IDA is striving to do everything possible to provide awareness for people living with invisible disabilities. IDA’s strength is shown together through their dedicated followers, friends and families that continuously advocate on behalf of people with invisible disabilities. So, we’re wearing blue as our color for engaging conversations and seeking support for the invisible disabilities cause during that week of October 14-20, 2018. IDA is intentional about creating great partnerships and over the years one of our most honored partners is American Medical ID, the company that is known for passionately leading the way in creating the bracelets that alert emergency personnel of medical issues. Rick Russell, the CEO of American Medical ID says, “We are proud to be partnering with Invisible Disabilities Association (IDA) and highly recommend wearing a medical ID to anyone with a medical condition. It is great to know that not only do medical IDs give many members of the Invisible Disabilities community some peace of mind, but that our medical IDs also help bring awareness and education to others of what invisible disabilities are.” Rick and his team have graciously provided IDA with wristbands over the years which allows IDA to continue their missions of raising awareness about and helping those with Invisible Disabilities. 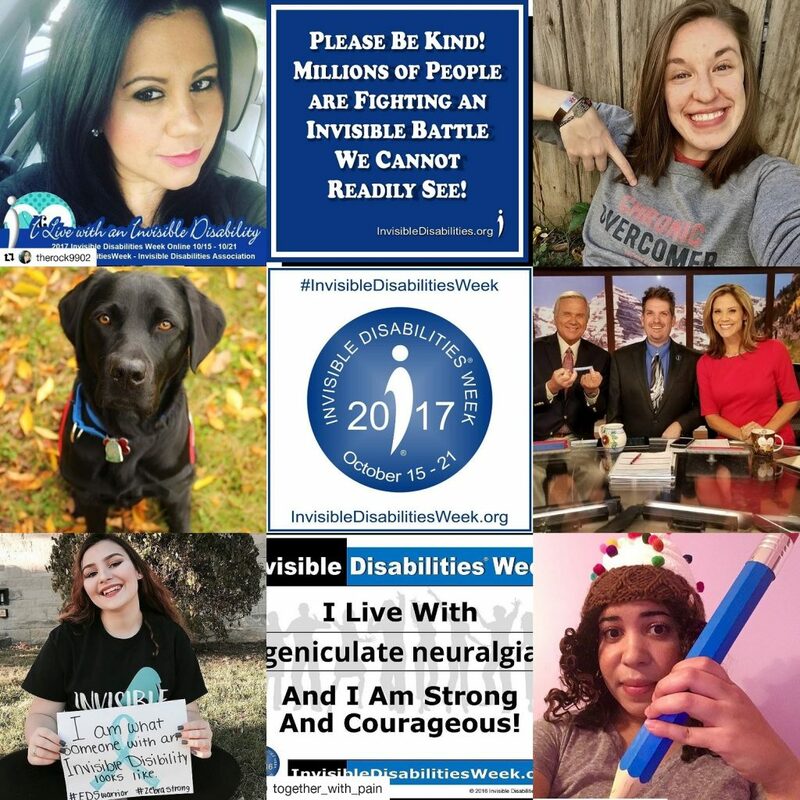 If you really want to “get your blue on!” here are some other resources that include the wristbands that you might like to have available for the 2018 Invisible Disabilities Week: Invisible Disability Identity Bundle Helps You Educate Others. The invisible disability identity bundle can help you educate others, open doors to conversation and provide the tools you need to be Invisible, No More Invisible Disability ID badge with pocket containing 50 Invisible Disability definition cards, two Invisible No More Glow-n-the-dark Wristbands and an Invisible Disabilities Association lapel pin. 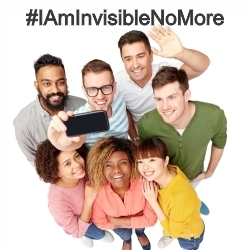 Invisible Disabilities Association (IDA) and Allsup launch the #IAmInvisibleNoMore Video Campaign and Contest allowing those impacted by invisible disabilities to share their stories to bring awareness and have the opportunity to win prizes. 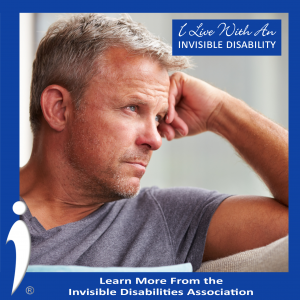 PRESS RELEASE: Parker, CO, February 28, 2018 –(PR.com)– Invisible Disabilities Association (IDA) launches its first annual #IAmInvisibleNoMore Video Campaign and Contest allowing those impacted by invisible disabilities to share their stories to bring awareness and have the opportunity to win prizes. Through online voting, there will be 25 prize winners. The First Place Winner will receive $500 and a trip Denver to the IDA “Be the Voice” Gala on October 19, 2018. Gala details at BeTheVoice.Live. Submit your story and Vote on the videos at InvisibleNoMore.com. 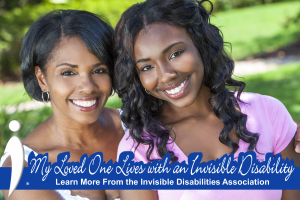 IDA has been advocating and raising awareness for people with invisible disabilities since 1996 and is partnering with Allsup, the nation’s premier provider of Social Security Disability Insurance (SSDI) representation, to connect people through storytelling with the #IAmInvisibleNoMore video contest. In addition, IDA joins the National Organization for Rare Disorders (NORD) and recognizes February 28, 2018 as Rare Disease Day. Millions of people live with illness, pain, injury and disability. The most common symptoms of invisible disabilities include chronic and debilitating pain, extreme fatigue, cognitive impairments and depression. Some examples of these conditions include multiple sclerosis, lupus, lyme disease, fibromyalgia, POTS, RSD, dysautonomia, multiple chemical sensitivity, traumatic brain injury, mental illnesses and other disorders that are not readily apparent. The most common cause of disability is arthritis, according to the Centers for Disease Control and Prevention. Online votes will determine the winners for the #IAmInvisibleNoMore video contest. The last day of voting will be on March 16, 2018. IDA and Allsup will host Facebook LIVE events and videos with tips on how to tell your story. Follow Allsup and IDA on Facebook to be notified of live events and contest updates. Contest details at InvisibleNoMore.com. 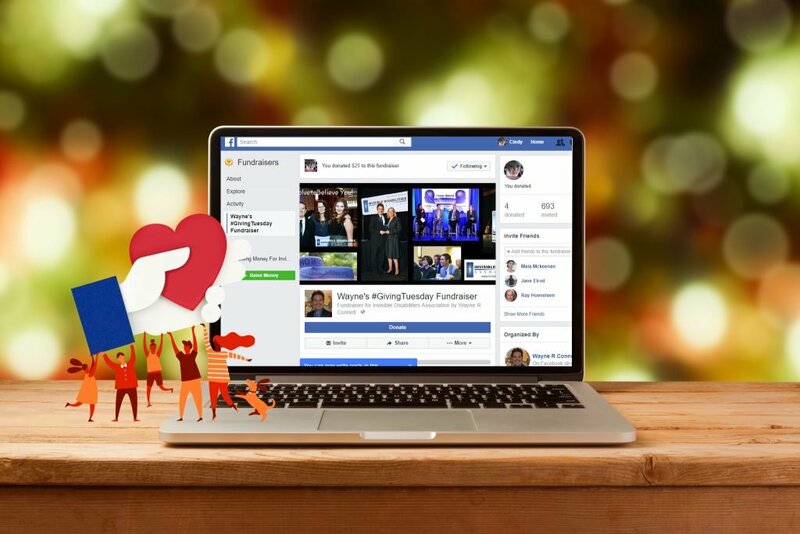 Invisible Disabilities Association stands to benefit from an improved Facebook donation policy for charitable organizations. You can now contribute to the Invisible Disabilities Association on Facebook and rest assured every cent will go to our critical cause because of an improved Facebook donation policy. CEO Mark Zuckerberg announced on Nov. 26 that the company would stop deducting fees on donations to charitable organizations made through its service. “Now 100 percent of the money people donate on Facebook goes to the causes they care about,” Zuckerberg said. As a result of the announcement regarding the improved Facebook donation policy, there is more good news for Invisible Disabilities. Zuckerberg said Facebook would create a $50 million annual fund to match charitable donations made on the social network. Who are you raising money for? Search for Invisible Disabilities Association. You can support Invisible Disabilities in other ways online such as eBay and AmazonSmile. Supporting the Invisible Disabilities Association through eBay gives two options. First, you can list an item for charity. Second, you can make a straight donation. Selling an item you have listed for charity will allow you to select what percent of the proceeds to donate. As a result, you will be able to call attention to your IDA auction with a charity ribbon. When your listing for IDA sells, eBay will credit back a portion of the seller’s fee. Plus, your donations are tax deductible. If you plan to do a lot of shopping this holiday season, AmazonSmile might be the right way to support the Invisible Disabilities Association. When you sign up, the AmazonSmile Foundation will donate a portion of your eligible AmazonSmile purchases to IDA. Finally, if you just want to make a direct contribution to the Invisible Disabilities Association, you can do so at Give.MyIDA.org. You can also sign up for a monthly contribution. We are so grateful for your support! IDA Facebook Frames were a huge hit during Invisible Disabilities Week when more than 6,500 people put the IDW Facebook Frame on their profile images. Now they are back by popular demand! IDA Facebook Frames were first introduced for the 2017 Invisible Disabilities Week (IDW) and they extremely popular. The frames are an overlay on a person’s profile photo. They share a message that the profile belongs to someone who lives with an invisible disability or a loved one. It also gives the viewer a link to learn more about invisible disabilities. They were a huge HIT! More than 6,500 people put the IDW frame on their profile images that week. And they also downloaded their photos with the frames to use on other social media, such as Instagram and Twitter. Back by popular demand, we have introduced Facebook frames that are now available to use year-round! Although IDW is over for this year, awareness, education, and support certainly are not! So, we now have two new IDA Facebook Frames that you can use throughout the year. Once you have the new Facebook frame on your profile photo, you can download it and use it for your other social media profiles if you would like. These frames are a great way to tell the world, “I Live With An Invisible Disability” or “My Loved One Lives with an Invisible Disability.” They give people an excellent resource to find more information about the definition of an invisible disability, lots of great blogs, articles, pamphlets, books, radio and television interviews, videos, support, resources and so much more. Grab these great frames and advocate for yourself or a loved one. Follow us on Facebook! Millions of people around the world live with invisible disabilities. We are not alone! 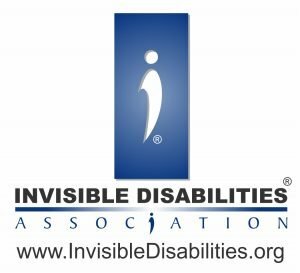 Lone Tree, Colo. (Oct. 03, 2017) Invisible Disabilities® Association (IDA) honors its 2017 Invisible Disabilities champions on Oct. 21st at the 10th Annual Awards Gala, Laugh Out Loud, in Lone Tree, Colo. Among this year’s recipients is five-time Emmy award winner and Grammy nominated actor, singer, dancer, improviser, and songwriter Wayne Brady for openly sharing his personal journey through depression. As a result, Brady inspires others with his realistic and pragmatic approach to coping and his positive voice. This year’s Awards Gala, sponsored by Fireplace Warehouse ETC provides an opportunity to raise awareness and funds. It also honors eight incredible invisible disabilities champions and organizations making positive contributions towards understanding and education of invisible disabilities. John Ikard, FirstBank, Board Member and former CEO — recipient of the Corporate Honors Award for helping create a corporate culture of giving back to the community. His efforts have resulted in more than $50 million donated since 2000, most going to disability and illness charities and associations. Dr Susanne Cohen, Business Strategist, and Marketing Expert – recipient of the Founders Award for her insightful business acumen as an advisory board member. She is also cited for her expertise in marketing and business leadership. Elizabeth Concordia, UCHealth, President and CEO – recipient of the Healthcare Award. She created a strategic focus on developing new models of care that improve patient access, convenience and service. Lucy Miller PhD OTR/L, founder of the Star Institute for Sensory Processing Disorders and author — receiving the Impact Honors Award for her positive impact on the lives of those living with sensory processing disorders. She is also recognized for her ground-breaking books which are lifelines for so many educators and parents. Major General (Ret) Gale S. Pollock CRNA FACHE FAAN, medical advisor for The Coming Home Project and CereScan. Recipient of the Invisible Heroes Award for her positive impact on the lives of veterans. Currently, she is a medical adviser on numerous frontline health organizations. She is a veteran, nurse and former Commander of the U.S. Army Medical Command, former Acting Surgeon General of the Army, and former associate professor at the University of Pittsburgh Schools of Medicine and Nursing. She brings much-needed visibility and support to veterans living with PTSD, TBI and other invisible wounds. Amy Van Dyken-Rouen, six-time Olympic Gold Medal Champion. Amy is the recipient of the Invisible No More Perseverance Award for perseverance as she lives each day since childhood with life-threatening asthma. Her more recent pain and trauma caused by a spinal cord injury and subsequent paralysis from a major 2014 accident. Carrie Fell, renowned artist, painter, and sculptor. Carrie received the Volunteer Honors Award for her passionate volunteerism with multiple charities serving people who live daily with illness and disability. “Let’s face it, we live in a world of difficulties,” said Wayne Connell, IDA Founder. “Oftentimes it is the workarounds and coping and striving. It is the climbing, fighting, and straining that helps us triumph in the midst of suffering. When a person knows they have friends who care, it gives them the strength to face the world with courage! Wayne continues “The Invisible Disabilities Association’s goal is to provide a platform where people can be honest and unload their burdens and be met with compassion and empathy from the community.” We can do this together. Let’s lift each other up instead of tearing down. Let’s Laugh Out Loud together and envision a world where we all will be Invisible No More. Entertainment for the 2017 Gala will be provided by award-winning Colorado-based comedian, Sam Adams. Arlene Mohler Johnson will be this year’s honorary gala chair. Aaron and Sandee LaPedis, owners of Fascination St Fine Art in Colorado are the 2017 gala co-chairs. Hall of Fame and TEDx Speaker, Author and Neurohumorist Karyn Buxman RN MSN CSP CPAE will be master of ceremonies for the event. Audiences love Buxman’s message of laughter and leadership. Her recent engagements included the Million Dollar Round Table, the US Air Force, the Mayo Clinic, Pfizer, & the Association for Peri-Operative Room Nurses. The Invisible Disabilities Association is a 501(c)3 non-profit organization based in Parker, CO. The group encourages, educates and connects people and organizations touched by illness, pain, and disability around the globe. 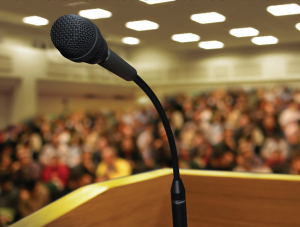 It does so through its website, online social network, literature, projects, and seminars. For more information, visit https://www.invisibledisabilities.org/. Join Invisible Disabilities Week on Oct. 15-21. By doing so, we are unified in our mission to bring awareness, education and support to our neighborhoods and around the world about invisible disabilities. People often ask what the term invisible disability means. In simple terms, it is a physical, mental or neurological condition that limits a person’s movements, senses, or activities that is invisible to the onlooker. Unfortunately the very fact that these symptoms are invisible, can lead to misunderstandings, false perceptions and judgments. The term we define, invisible disability, refers to symptoms such as debilitating pain, fatigue, dizziness, cognitive dysfunctions, brain injuries, learning differences and mental health disorders, as well as hearing and vision impairments. These are not always obvious to the onlooker, but can sometimes or always limit daily activities, range from mild challenges to severe limitations, and vary from person to person. Unfortunately, people often judge others by what they see and often conclude a person can or cannot do something by the way they look. This can be equally frustrating for those who may appear unable, but are perfectly capable, as well as those who appear able, but are not. The bottom line is that everyone with a disability is different, with varying challenges and needs, as well as abilities and attributes. Thus, we all should learn to listen with our ears instead of judging with our eyes. This is why we define invisible disability. Join Invisible Disabilities Week: Will Badges for Invisible Disabilities Catch on in Japan and London? Tests with various invisible disabilities pins and badges are not performing as well as people might hope in London and Japan when it comes to asking riders on the Tube and on buses to give up their seat for an individual with an invisible disability. But others are still hopeful that education might continue to improve the environment so that healthy riders would offer a seat to those who need one when they see a badge that says, “I have an invisible disability. Please offer me a seat if you are able and willing to do so. Thank you.” Are you testing anything similar in your community during your commute? If so, we would love to hear about your results. 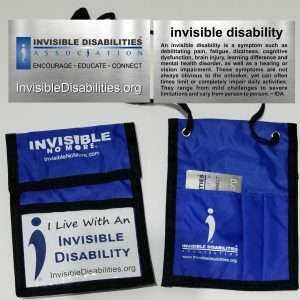 Using the Invisible Disabilities IDW 2017 Identity Bundle badge holder is a good way to introduce yourself in your neighborhood grocery store and start a conversation about Invisible Disabilities. You can order the IDW 2017 Identity Bundle here but hurry because Invisible Disabilities Week is right around the corner. This handy Invisible Disability Identity Bundle will help you get conversations started with those who matter. JOIN Invisible Disabilities Week’s Daily Activities on Facebook, Instagram and Twitter. SHARE with friends, family, medical teams and social media! Spread awareness and education about millions living with debilitating illness and injury, as well as support to those living with invisible disabilities. There are many free activities you can do during Invisible Disabilities Week to get involved. You can see them all here. If you do decide to make any purchases on the IDA website during this time, remember your activities and purchases are optional and help continue the organization’s outreach of awareness, education and support around the world. But none of these are necessary to participate. Your donations and proceeds help the Invisible Disabilities Association continue its outreach of awareness, education, connection, resources and support around the world through its websites, television and radio interviews, videos, special projects, books, pamphlets, seminars, award nights, symposiums, social media, online communities and more! Find out more how you can support IDA here. 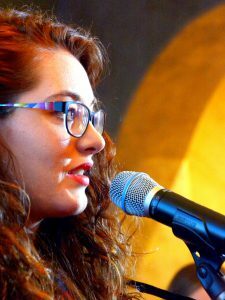 Mandy Harvey performance of “What a Wonderful World,” which took place during her appearance at the Invisible Disabilities Awards Gala in October 2016, was released in July 2017 on YouTube. It has climbed quickly to close to 20,000 views on the Invisible Disabilities YouTube channel. “What a Wonderful World,” featured on Mandy’s jazz album “Smile,” was written by Bob Thiele (as “George Douglas”) and George David Weiss and first recorded by Louis Armstrong and released in 1967 as a single. Armstrong’s recording was inducted in the Grammy Hall of Fame in 1999. Mandy, who was a music major in school, lost her hearing due to a connective tissue disorder when she was 18. She had no idea what to do with her life, but her father encouraged her to continue pursuing her singing career. Today Mandy is a singer, songwriter and motivational speaker. She must work very hard each day to keep her voice in shape and in tune. But the hard work is paying off. She has produced three CD’s, performed for many prestigious venues, and, of course, is now a featured contender on America’s Got Talent. Tuesday night it is Make It or Break It Night on AGT and million in America will be watching as Mandy and the 12 remaining finalists perform live on the most viewed season of NBC’s America’s Got Talent in five years. We urge everyone in Invisible Disabilities to join us in watching this important show and cast your vote for Mandy. We want to show solidarity in our cause and for Mandy’s courage to sing out and let her voice be heard, even when she herself could not hear it. We have great respect for Mandy, and are very proud of her and for everyone who rises up to meet their own challenges each day. In our book, and we know Mandy would agree, you are all heroes. Just remember, when Mandy sings, she is singing for all of us. Learn more about this year’s celebrity inspiration award winner for the IDA Gala Awards in October, 2017. Invisible Becoming Visible Live Conference, recorded November 2016. People want to know about your illness, so they ask you. You explain it, but they still refuse to believe you. “The truth is, no one really knows what the illness or injury has damaged. We don’t know what is going on, on the inside. But we need to believe them,” says Wayne Connell, founder and president of the Invisible Disabilities Association . 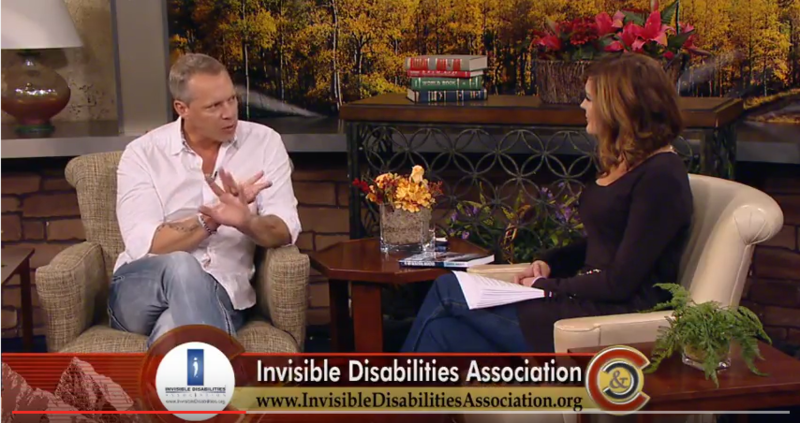 Wayne shares seven points about invisible disabilities and how caregivers, family, and friends can be a source of support at the Invisible Becoming Visible Live Conference, held in November 2016. Wayne’s wife, Sherri lives with debilitating Progressive Multiple Sclerosis, Chronic Late Lyme Disease, and Chemical Injury. Together, the two of them have made it their life’s mission to help other’s cope with the challenges of living with invisible disabilities. People battling various mild to severe debilitating conditions are often told they don’t look sick or in pain. Because others cannot see their symptoms of fatigue, cognitive dysfunctions, mental disorders or pain, they often do not believe the symptoms are real or they think the person must be lazy or exaggerating. Contending with symptoms others cannot see, doctor appointments, therapies, medical bills, and losses can be overwhelming enough without also battling for the support of friends and family. Believing is the most important thing we can do. When a loved one says they are sick or in pain, believe. Just because we can’t see what they are battling on the inside, doesn’t mean it doesn’t exist. In fact, belief, validation, and support can give a friend or family member the strength they need to continue the fight! Invisible No More® is a campaign launched by Invisible Disabilities Association to bring awareness to invisible disability challenges. It does so through educating friends and family, and supporting those living with debilitating conditions. Invisible No More shines a light on what people living with disabilities contend with every day. It also highlights their incredible perseverance and courage. When friends and family watch these stories, we hope they realize their loved one is just as amazing. Thank you to the Chiari & Syringomyelia Foundation (CSF) for hosting and recording the Invisible Becoming Visible Live Conference. From Defining Invisible Disability to Invisible No More — What is an Invisible Disability? How do you go about defining invisible disability? Is it a specific illness or condition, such as multiple sclerosis, fibromyalgia, bipolar disorder, diabetes, a Chiari malformation or syringomyelia? Is it the symptoms of an illness or disability, such as pain or fatigue or neuropathy or brain fog? Why do we even use the phrase? Where did it come from? Isn’t a disability just a disability, no matter if you can see it or not? Are people treated differently because their disability manifests itself visibly? Is having a disability different from being disabled? These are all great questions to ask if you are defining invisible disability. Is someone who has an illness or is in pain, or has a disability or is disabled, a bad person who should be treated like a lesser human being? I can answer that one with a resounding, no! 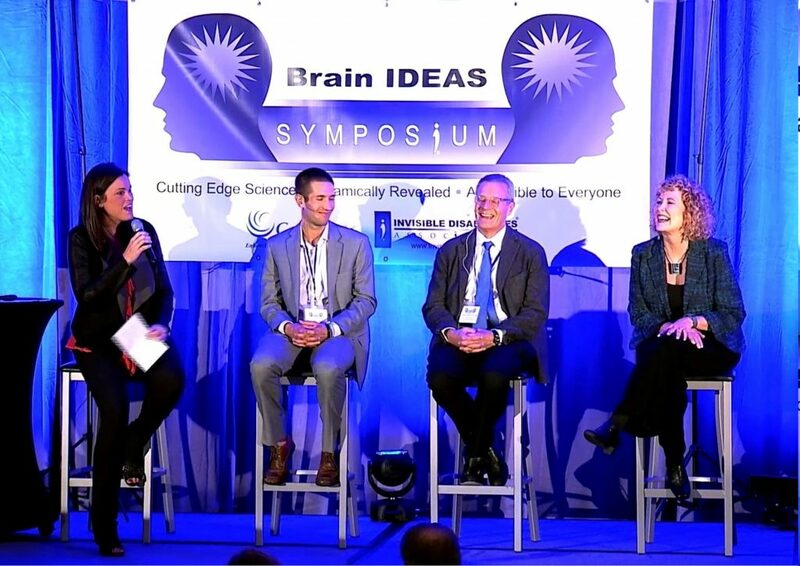 Wired Together, a brain retraining and neuroplasticity symposium was hosted by Brain IDEAS. Neuroplasticity, brain training, brain-based therapy, rewire your brain, brain mapping, eye movement desensitization and reprocessing (EMDR), mindfulness, and therapeutic humor. Microbiome, unconscious mind, attention deficit disorder (ADD), attention deficit hyperactivity disorder (ADHD), autism, dyslexia, Alzheimer’s, Down syndrome, nutrition, and stroke. Post-traumatic stress disorder (PTSD) and traumatic brain injury (TBI). We hear so many scientific and medical buzzwords today. What do they all mean and why should I care? That is a very good question. “Some disabilities are more obvious than others. Many are immediately apparent, especially if someone relies on a wheelchair or cane. But others — known as ‘invisible’ disabilities — are not. People who live with them face particular challenges in the workplace and in their communities,” said National Public Radio (NPR). “You know, it’s that invisible nature of an illness that people don’t understand,” says Wayne Connell, the founder and head of the Invisible Disabilities Association. He started the group after his wife was diagnosed with Lyme disease and multiple sclerosis. Listen to full radio interview below, first published on March 8, 2015, by NPR (National Public Radio). I resolve to believe you. My wife, former model, Sherri Connell. Resolve to believe. As yet another year dawns and, of course, I need to make at least one resolution. The good news is that I know I can keep this one. 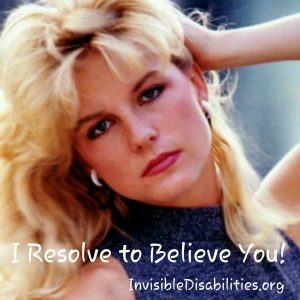 I resolve to believe you! I resolve to listen and acknowledge the pain and illness you live with daily even though your symptoms might be invisible. Top 10 Blogs of Disability.gov says Invisible Disabilities Association among the best. 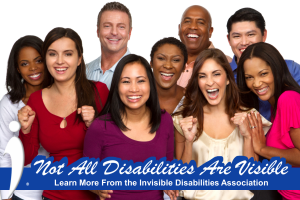 Top 10 Blogs of Disability.gov featured Invisible Disabilities Association for the fourth time. Wayne and his wife Sherri Connell were thrilled to receive the recognition for the fourth consecutive year. 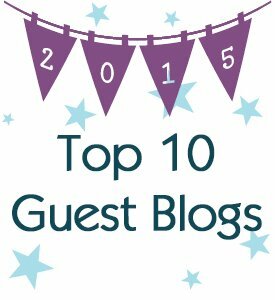 “Being recognized in the Top 10 Blogs provides us with the opportunity to bring more awareness and education about invisible disabilities. Thank you to all of IDA’s guest CO-authors and readers who have commented and liked our blogs, showing your support for what the association is doing. Acquired Savant, Derek Amato, goes on the air with Colorado and Company’s Host, Denise Plante. Derek talks about invisible disabilities and the Invisible Disabilities Association. He also shares his story of how he is one of only 30 known people who became “Acquired Savants” after a head injury. Derek is the only person known to acquire the ability to play an instrument. Derek tells Denise about meeting Jazz Singer, Mandy Harvey and teaming together to product the single, “The Script.” Mandy is an IDA Ambassador who lost her hearing in college. Despite all odds, she continued her love for music and is now a singer, songwriter and motivational speaker. 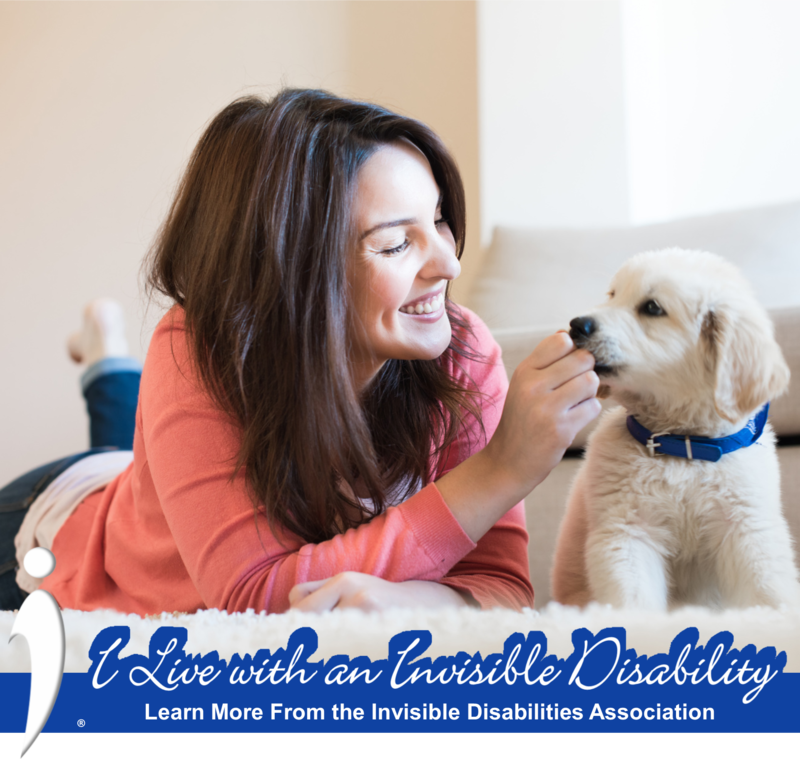 The number one question people ask of our organization, the Invisible Disabilities Association is “What is an invisible disability?” The term invisible disabilities refers to the invisible symptoms such as debilitating pain, fatigue, dizziness, cognitive dysfunctions, brain injuries, learning differences and mental health disorders, as well as hearing and vision impairments. These are not always obvious to the onlooker, but are very real to the person living with them as they may impact daily activities and range from mild challenges to severe limitations and vary from person to person. I’ve noticed one thing everyone is talking about nowadays is the brain. Sometimes the discussion centers on frontal lobes, brain stems, neurological pathways and wiring and firing. Other times we are in search of finding out if we are right-brained or left-brained. According to the theory of left-brain or right-brain dominance, each side of the brain controls different types of thinking. Additionally, people are said to prefer one type of thinking over the other. For example, a person who is “left-brained” is often said to be more logical, analytical, and objective. A person who is “right-brained” is said to be more intuitive, thoughtful, and subjective. On a recent assessment, I scored 52 percent left-brained and 48 percent right-brained. I guess that makes me pretty even in regards to logical thinking versus intuitive thinking; maybe I’m neither logical nor intuitive (don’t ask my friends). Sherri Connell is the wife of Wayne Connell, Invisible Disabilities Association Founder and President and the inspiration for the organization. Sherri led a very active life of singing and dancing in musicals, acting in commercials, modeling in fashion shows, working to put herself through college and riding her horse. Sherri obtained two Bachelor Degrees and a Minor in Musical Theater. However, due to Multiple Sclerosis, Lyme Disease and Multiple Chemical Sensitivities, Sherri now struggles to take a shower, get a meal or go to a doctor’s appointment. Because of people like Sherri and many others, Wayne and the IDA Board Members reach millions of people challenged by illness, pain and injury through the Invisible Disabilities Association. Thank you so much for joining us today! We hope you find the encouragement and support you need. 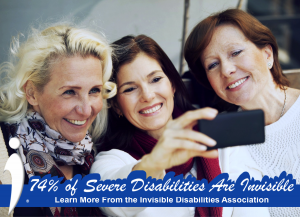 The Invisible Disabilities Association (IDA) encourages, educates and connects people and organizations touched by illness, pain and disability around the globe. The Invisible Disabilities Association 2012 Honors Banquet at the Denver Marriott South at Park Meadows in Lone Tree, Colorado, on Sunday, Oct. 14, 2012. Join Antarctic Mike and Angela Pierce as they take you on their amazing and inspirational journey of hurdles, sprints and counting of every little success on the way. 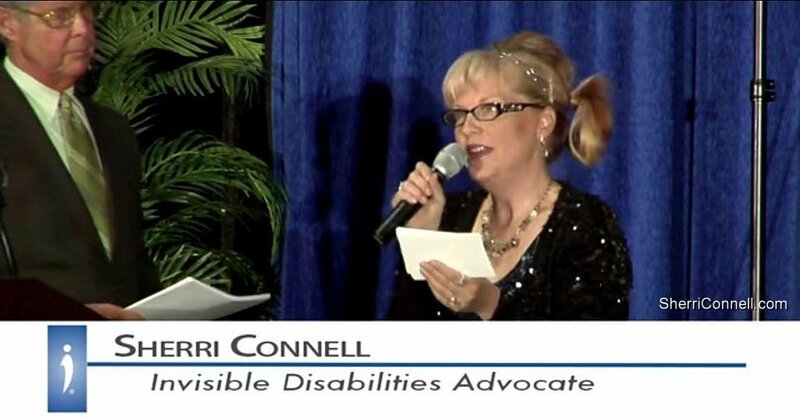 You will not want to miss this opportunity to watch this presentation from the 2012 Invisible Disabilities Association Honor Awards Banquet from the comfort of your home. Be sure to share it with your friends, family, groups, doctors and neighbors! Mike is a professional speaker, executive recruiter, an avid adventure athlete, world record holder and a husband. Angela Pierce is a wife, a blogger and someone who lives daily with disability and has so most of her life. Together, they are an amazing team! Mike has completed marathons in some of the world’s coldest climates including the Canadian Arctic, Siberia and twice in the Antarctic. He has set world records in endurance swimming and cycling as well. Adventure sports have changed Mike’s life in many ways, including teaching him the importance of being mentally focused and conditioned to run the most challenging and important marathon, that of helping Angela manage her lifetime disability. Read more about Mike and Angela!